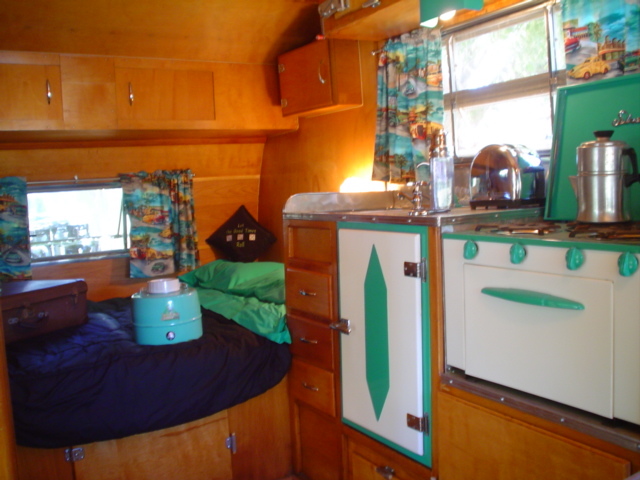 1958 Airstream Traveler kitchen ready to "rock and roll"!! 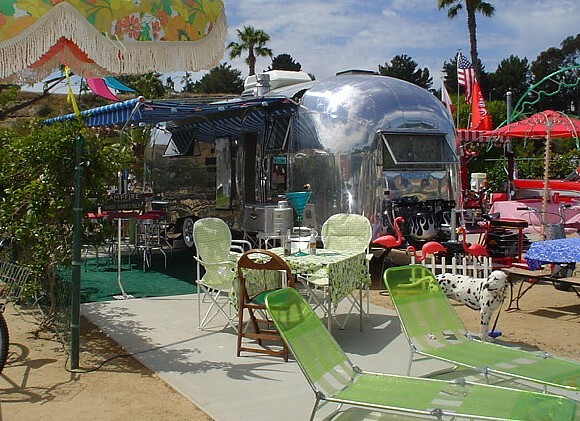 1958 Airstream living room ceiling polished......wow ..... or is it bow wow!!! 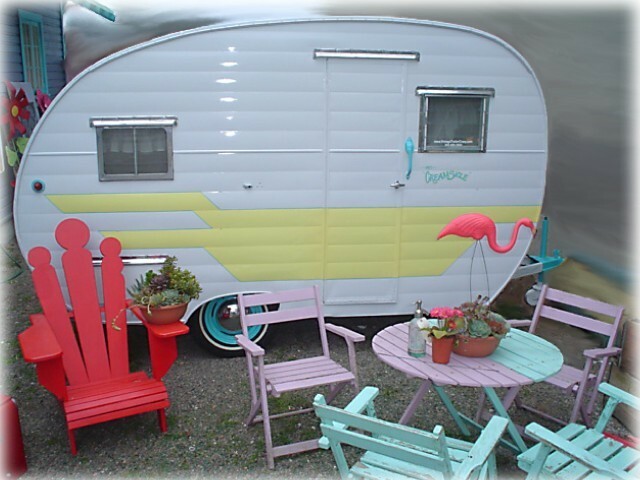 1955 Boles Aero Ensenada ...... Tiki Shack theme. As seen in a double page spread in the Silver Palaces Vintage Trailer book. 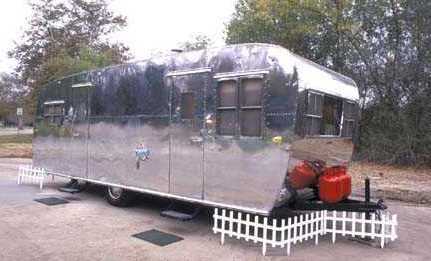 1958 Airstream with flamed propane tanks ... where's the fire extinguisher? As seen numerous times on the Travel Channel. 1951 Fireball Roadmaster affectionally called "The Creamsicle"!!! 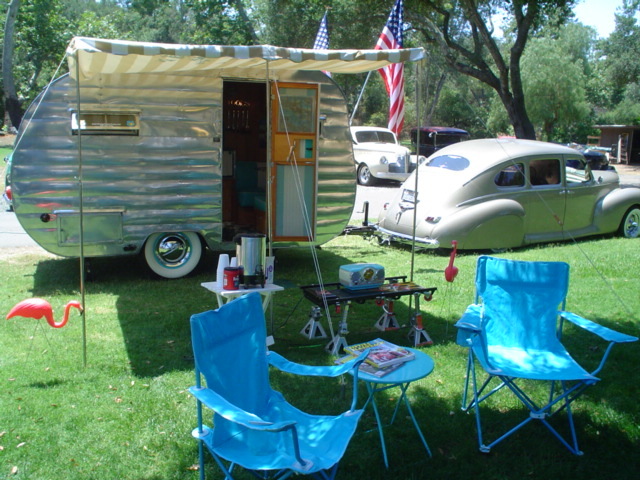 1937 Pierce Arrow Travelodge ..... This is VERY rare; only 250 made. 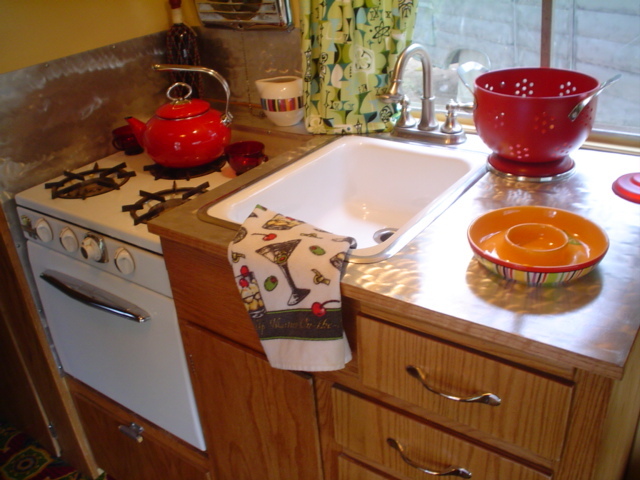 This model is the one with a FULL bathroom and fresh water storage....both VERY ahead of its time. 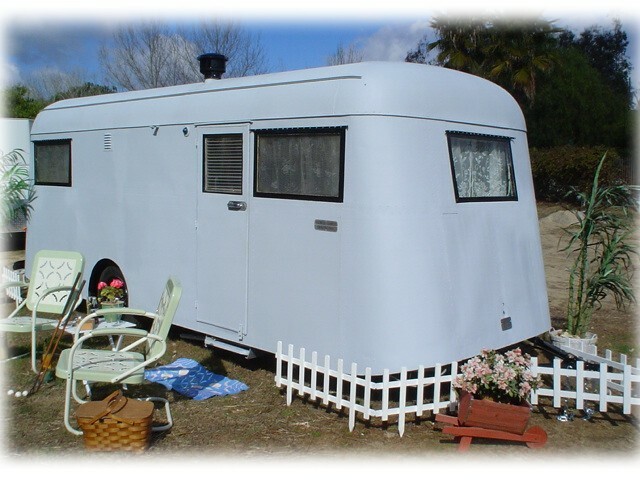 This pic was taken during the primer stage before it was painted to match a 1937 Pierce Arrow car. 1951 West Coast (canned ham) done in a "Hot Rod" theme complete with "Exhaust" pipes.....gotta have them!! 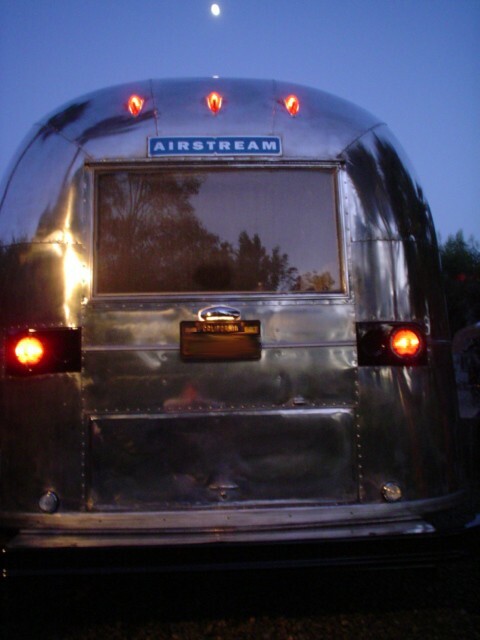 1965 Airstream Overlander ..... cool lights!! 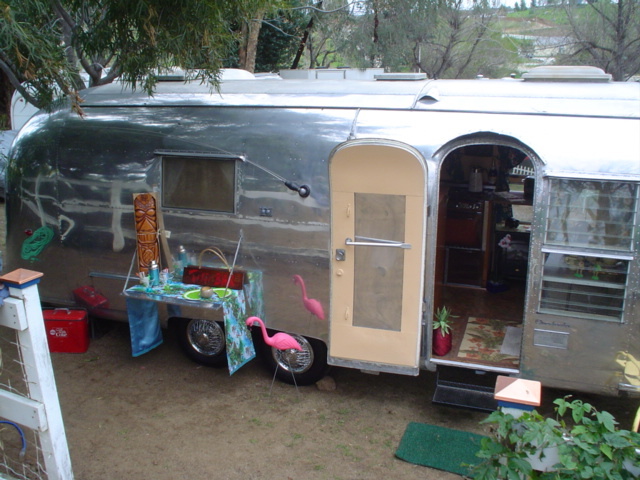 1961 Airstream in vintage Hawaiian theme!!! 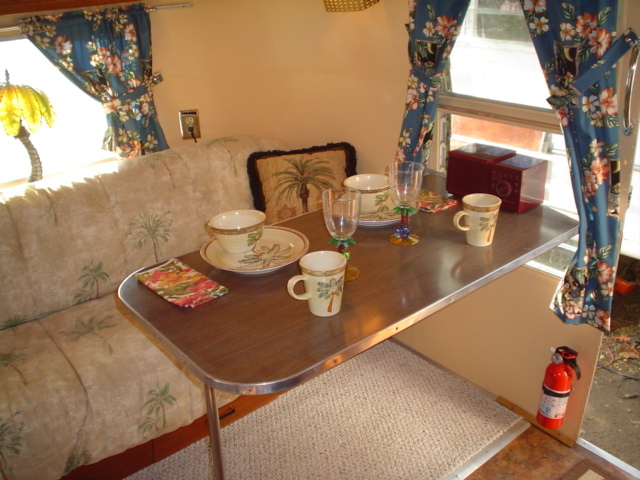 1961 Airstream Overlander (Hawaiian theme) .... very soothing interior.